Please feel free to call us with any comments or questions at (408) 358-7645. If you prefer to contact us online, you may e-mail us any questions or comments by filling out the form below. A team member will respond to your e-mail shortly. 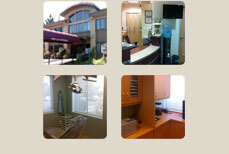 Thank you for your interest in Samaritan Dental Care!